I’ve never been good with patience. Or getting the timing right around when I open a bottle of wine. So it’s quite common that we pull out the aerator at serving time. Not being aware that the the humble aerator had been smartened, our’s is still stuck in the pre-technology era. 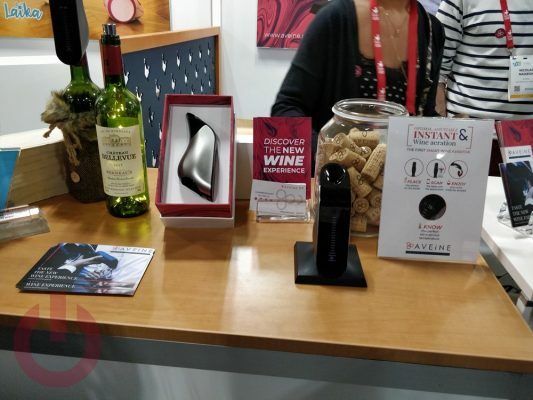 Fortunately, while wandering Eureka Park at CES 2019 I stumbled ,metaphorically of course, although clearly a missed opportunity for smart aerator creator AVEiNE. The usage model it very simple, connect their aerator to an app on your phone, place it on the freshly opened bottle, and scan the label. This programs the device to provide the perfect amount of agitation to the experience – which seems to me, like a good application for smart home technology.